Shows » Why Act on Behalf of Other Species? With so many pressing human needs in the world, for food, water, and places to live, why should we act on behalf of the wellbeing of other animals? For George Archibald of the International Crane Foundation, it’s a matter of ethics. "How can the basic needs for humans be met, and how can the basic needs of the birds be met? 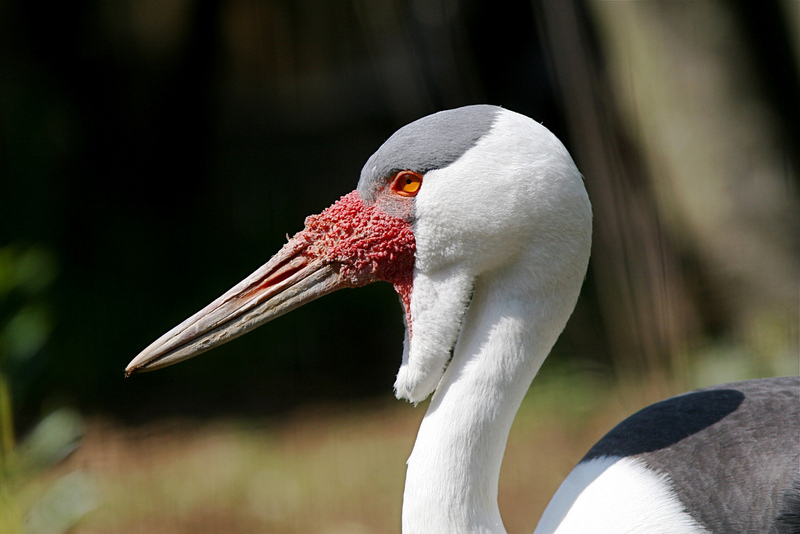 One of our best examples of win-win is in Africa where the Wattled Cranes live. It takes cooperation and years of hard work…It’s difficult to find the answers, but they can be found." Today is Endangered Species Day. With so many pressing human needs in the world, for food, water, and places to live, why should we act on behalf of the wellbeing of other animals? For George Archibald, who’s been studying and protecting cranes for 40 years, it’s a matter of ethics. “If you consider that other forms of life have a right to live, as we do, and we’re doing something to prevent them from living; it’s an unethical thing for us to do within that framework. Of course people have to live, too, and we have to share the resources. But as conservationists at the International Crane Foundation, at least, we look for that elusive win-win. How can the basic needs for humans be met – not the extravagant needs - and how can the basic needs of the birds be met? It’s difficult to find those answers, but they can be found and they have been found. Nature SFX sounds recorded by Gordon Hempton of Quietplanet.com. #18 stream flowing, #63 coniferous forest with insects, ravens and other birds; wetland pond with morning birdsong #97. BirdNote’s theme music was composed and played by Nancy Rumbel and John K.essler. Scientific American: "Protect the Endangered Species Act"
BirdLife International has even more!